TERRI TASSIE: Pure Romance Moms Who Do It All! Terri Tassie (Dundee, MI) – I’ve known Terri for a very long time, around fifteen years to be exact. One of the first things that caught my attention about her was her dedication to her business and drive to succeed, not to mention her quick-witted humor and wonderful warm personality. While in town for business, I was always invited into Terri’s home. Watching the respect and love her children displayed for her during these visits was a true testament to the quality of this woman’s character. Over the years she and her family have baked delicious treats, made jewelry, and organized pot lucks at her husband’s auto dealership – all to raise money for the Patty Brisben Foundation for Women’s Sexual Health. 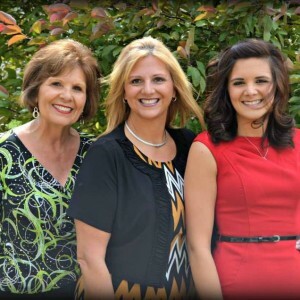 I love how she has taught her children, as well as the Consultants she mentors, the value of giving back. I chose Terri for this Mother’s Day series because she displays the advantage of hard work and dedication, as well as the value of paying it forward. Over the course of her Pure Romance career, she has made herself abundantly available to her team members and other Consultants (not just those in her Downline) – she has always had an altruistic character. Terri is a wonderful woman and mother. She is a strong leader and businesswoman. I’m sure many of you will love to read her “trade secret” tips to how she keeps it all running on a day-to-day basis. Prioritize my daily schedule – making sure there is time for ME, my Family, my Business every single day. Be personable with every woman, and always carry sample packs and business cards. An example would be bringing in Pure Romance products to Sunday school, family weddings and gatherings; I was a school mom so, of course, the package was regularly going to the staff at the school. Understanding that it’s not always possible to keep business and personal life separate, but it’s manageable with dedication and the want to be better! Story #1: My husband and I were approaching a rough patch in our lives, and our future appeared bleak for a moment. Pure Romance allowed me to provide for my family and keep myself level-headed. Along with the help of my teenaged children who assisted with my back orders and inventory, etc., I was able to keep everyone in good mind and spirits. The hours became longer and the work became harder, but it was always worth it at the end of the day. Over time, I realized that my family AND my Pure Romance Business are what mattered most to me. Family and my business are my most prized possessions in life and something that I hold dear to me. Even after the (then 10) years of being in the business, I realized that I could be a full-time mom and a full-time business owner with Pure Romance. This proved, once again, that being dedicated to my business and compassionate to my family, I could be a winner in my and my own children’s eyes. I can say that my husband and I are happily married still, and my children are the light of my life; because of Pure Romance, I became a stronger woman in life and business. Story #2: I remember the first time my children asked what I did for my Pure Romance business. They were only 11, 8, and 5, so I told them that I did parties for Mommies, (trying to quickly get out of the conversation), but of course my kids wouldn’t leave it alone so this “question-answering thing” continued for some time with simple answers from me like I do “girlie mom stuff.” My daughter was like, “I love girlie stuff”. This continued for what seemed like hours, and I just grew more uneasy with the topic as I was raised a very strict Catholic, and I just wanted it to stop. Finally I said, “Look, kids, this is stuff JUST for Mommies and Daddies – it’s just that simple, the shave creams, bubble bath, etc.” ALL of a sudden my 5-year-old said, “Mom, you should have just said it is for GROWN UPS”. I laughed right out loud. Moral of the story: we try to give too much information and a simple answer was all that was needed. 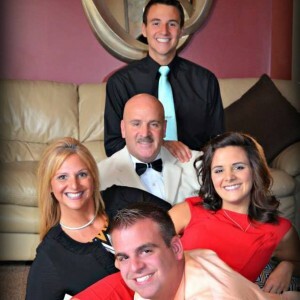 Terri has been married to her husband, Tom, for 26 years, and has three children: Shanie 25, Trent 22 and Collin 19. 2 Responses to "TERRI TASSIE: Pure Romance Moms Who Do It All!" Terri you are a TRUE mentor and an amazing woman!!! You have gave me strength I thought I didn’t have!!! Love reading this!! The myth, the lengend, my friend! Great article on one of the best! Terri Tassie, always love spending time with you! You are beautiful on the inside and out!